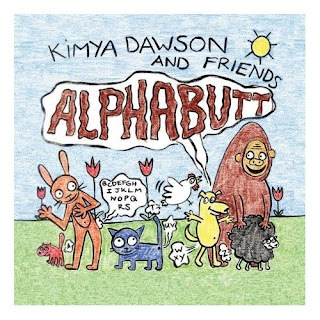 These ramshackle recordings from Kimya Dawson (ex-Moldy Peaches) sound a little like those Sebadoh or Ween cassettes you wore out in college. And they'll probably give your kids the same unstoppable giggle fits. The askew acoustic strumming, barnyard harmonies, toddler yodeling and pocket change percussion make this a strange and wonderful listening experience for you and your child. Kimya's songs are full of wide-eyed innocence and fine-tuned flatulence. I Love You Sweet Baby captures perfectly that feeling of every new parent who is just gobsmacked with love for their child. Basically Kimya sounds like she's having a blast being a mom. It shines through on every track, so you can expect your kids to have a blast listening to this record. And if you can fart the alphabet, you can sing along. This is a great story for this time of year as your kids are heading back to school. Whether your kids are "too absolutely" eager or "too absolutely" nervous about the first day of school, the brother and sister in this book capture each point of view perfectly. Be sure to remind your child to save a seat for their invisible friend at school. And if you're looking to fill your kid's new book bag, I would recommend just about any book in this series. 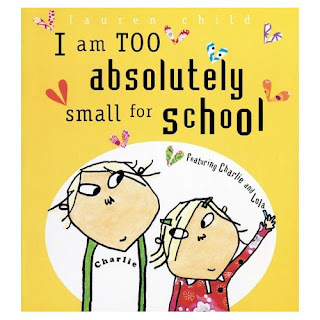 With Charlie and Lola, Lauren Child has created characters with personalities that are quirky but feel genuine. Charlie and Lola are just really cool kids. And they're certainly sporting some stylish threads on these pages. Apparently before she designed children's books, Lauren designed home interiors and home accessories, and you can see it reflected in the textiles and wallpaper patterns she mixes with her illustrations. Her books just look fantastic and very hip. You can check out Charlie and Lola (with their little British accents) on TV weekdays on Disney at 10:30am.